The Congress had yesterday termed Karnataka Governor Vajubhai Vala's decision to invite BJP leader B S Yeddyurappa to form the government as "murder of democracy and trampling of Constitution". 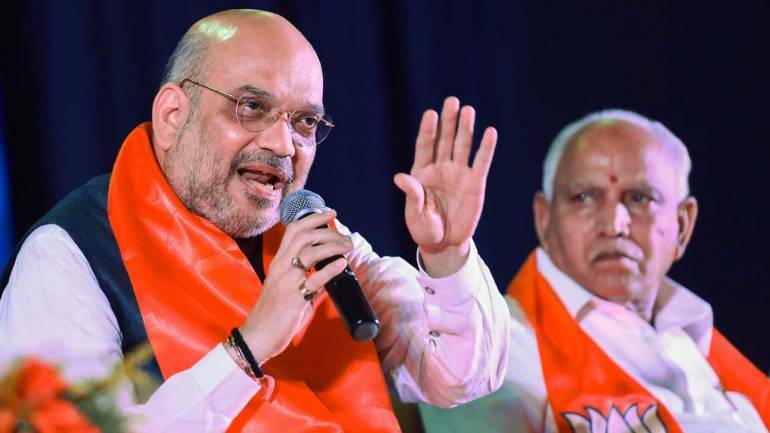 Democracy was murdered the moment "desperate" Congress made an "opportunist" offer to the JD(S) to form the government in Karnataka for "petty political gains", BJP President Amit Shah said today while hitting back at the Congress over its "murder of democracy" accusation. BJP legislature party leader B S Yeddy urappa was today sworn in as the chief minister of Karnataka for a second time, after an overnight high-voltage legal battle in the Supreme Court which refused to stay his swearing-in.